7PM THURSDAY, MARCH 29 Meet Spiritual Medium James Van Praagh James Van Praagh Meet James Van Praagh, renowned spiritual medium and New York Times bestselling author of Talking to Heaven and Ghosts Among Us, who returns to Changing Hands Bookstore for a presentation of his life and work. PRE-ORDER TODAY online or at 480.730.0205 to secure the best seating and place in the signing line. EVENT TICKETS (free with the purchase of any of James Van Praagh's titles) will be called by assigned letter group to fill seats and form the signing line after the presentation. Seats cannot be guaranteed for late arrivals. If available, seating opens to the general public fifteen minutes before the event, so please arrive early. CAN'T MAKE IT? If you'd like a signed book from any of our author events, please call us at 480.730.0205 to pre-pay and we'll have one or more copies signed and reserved for you or shipped almost anywhere! JAMES VAN PRAAGH signs Unfinished Business: What the Dead Can Teach Us About Life. JAMES VAN PRAAGH promotes Unfinished Business: What the Dead Can Teach Us About Life. James Van Praagh , Ghosts Among Us. Please check back soon for more event information. James Van Praagh , Ghosts Among Us: Uncovering the Truth About the Other Side. James Van Praagh signs Ghosts Among Us. James Van Praagh reads from Ghosts Among Us: Uncovering the Truth About the Other Side . 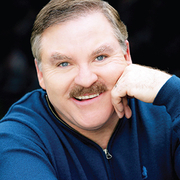 James Van Praagh is currently considered a "single author." If one or more works are by a distinct, homonymous authors, go ahead and split the author. James Van Praagh is composed of 5 names. You can examine and separate out names.